Criminal Lawyers Can Help Fight Your Ontario Theft Charges! To understand how you may be able to fight your Ontario theft charges, first you must understand how the law defines “theft.” Theft occurs where anyone fraudulently and without colour of right, either takes or converts anything with the intent to deprive the owner or the person who has a special interest in it.”Taking” is as it sounds. It involves the physical movement of an item of personal property. To “convert” on the other hand, involves, in essence, transforming the item into another form. This does not mean that conversion only occurs when, for example, an accused takes a piece of paper and burns it, thereby transforming the paper into ash. It can also occur when the accused takes an item, say for example a book and sells it to a store for money. The book is now converted into money. Some possible defences to your Ontario theft charges include: necessity and mistake of fact. With respect to necessity, think of a scenario where in order to save someone’s life, the accused person had to steal a car in order to drive that person to the hospital. As for mistake of fact, imagine a situation where an accused leaves his/her car with valet at a restaurant. Suppose as well that another person arrives at the same restaurant, with an identical car and also leaves it with the valet. At the end of the night, the accused approaches the valet and requests his car. By mistake the valet gives to the accused the other identical car instead of his/her own car. This would likely not be found to be theft because, amongst other arguments that can be made, the accused was reasonably mistaken that the car he was given by the valet attendant was his/her car. Another defence is accident, for example where your three year old child puts a chocolate bar in your coat without you knowing, and you leave the store without paying for it. Theft under $5000 falls under a type of offence called a “hybrid” offence. This means that the Crown can elect to proceed in one of two ways: summarily or by indictment. Usually, depending on the nature, quality, and monetary value of the theft, the Crown will determine in which way it will proceed. If the Crown chooses to proceed by indictment, then the upper punishment for someone found guilty in such a proceeding could be up to two years in jail where the monetary value of the theft does not exceed $5000. Should the Crown elect to proceed by way of summary conviction, then the upper penalty for theft is six months in jail, again, provided the value of the theft does not exceed $5000. Where the theft exceeds $5000, the Crown has no choice and must proceed by indictment. These punishments however are for general theft. There are different types of theft that carry their own penalties. When it comes to theft from a large retail store, it is common for a letter to be sent on the retailer’s behalf from a lawyer demanding that several hundred dollars be paid or they will sue. Do not fall victim to this kind of intimidation, provide us with all of your documents, and we will take care of the situation. 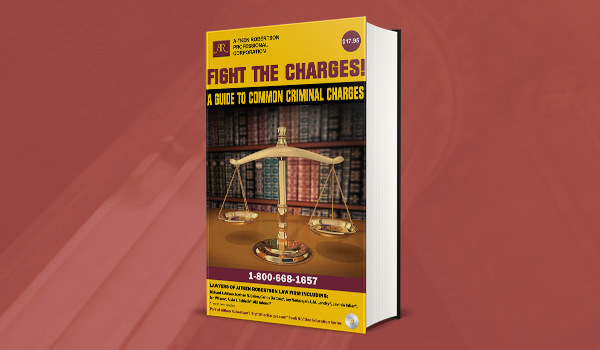 Fight Your Ontario theft charges! Call our lawyers at 1-800-668-1657 or visit one of our offices to get a free 30-min consultation.